A neighbourhood that mixes traditional Victorian and Gothic charm with cutting-edge architecture, Yorkville has everything you need. In 1853, Yorkville was its own village, separate from the City of York (historic Toronto). Thirty years later, the population increased enough to require annexation by York. In the 1960s, the Hippie Movement took over the Yorkville neighbourhood, with shops and cafes offering stages to the likes of Joni Mitchell, Neil Young and Leonard Cohen. Once the Bloor-Danforth subway set up in the area, a new shopping centre and upper echelon crowd moved into what we now know as one of the most glamorous neighbourhoods in Toronto. Yorkville is home to some of the best Walk and Transit Scores in the city, excellent restaurants and cafes, designer shopping destinations, Ivy League institutions, and entertainment galore - all you have to do is walk down Bloor. Yorkville has near-perfect Walk and Transit Scores, and averages around 99/100 to 100/100 (at Bay and Bloor streets, for example) in both categories. The neighbourhood has great access to downtown Toronto from Queen’s Park and University Avenue, while Bloor Street is one of the major throughways of the entire city; you can access the Don Valley Parkway by following Bloor St. east. Yorkville is bordered by two busy TTC stations: St. George and Yonge. These stations connect you to both the east/west Line 2 (Bloor-Danforth), and north/south Line 1 (Yonge-University) within Toronto’s subway system. The 6 Bay bus serves the community, and will take you right downtown and home again. Bloor and Bay streets have dedicated bike lanes, and you can reach the Don River Valley Park for running or cycling trails. 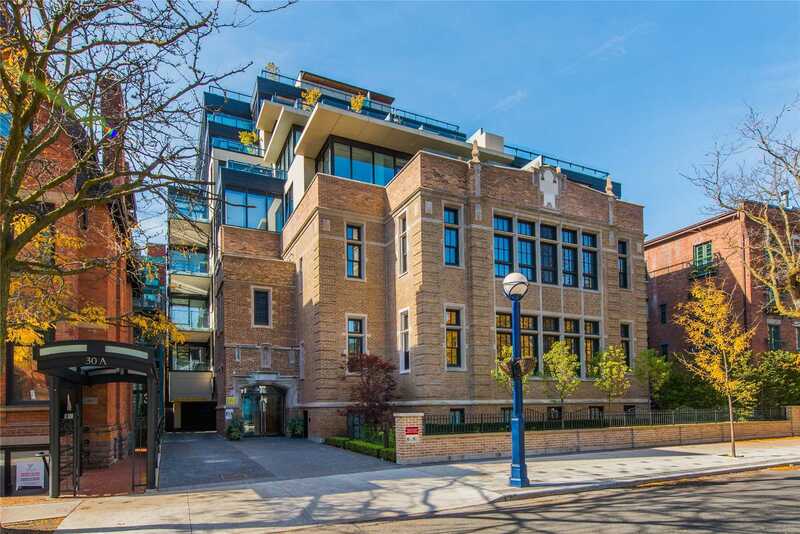 Yorkville hosts some of the city's most expensive homes and condominiums, but still manages to welcome growing families and busy students. Retirees, young professionals, parents and students call this neighbourhood home, and mingle with tourists who flock to some of the city's most exclusive hotels, restaurants and shopping sites. The following data was obtained from the 2016 Annex neighbourhood census profile, and the City of Toronto Ward 27 profile. Average prices are determined by the realestatecondos.ca listings. Yorkville is perhaps most famous for what’s known as The Mink Mile, an upscale and designer shopping stretch on Bloor Street, between Yonge St. and Avenue Road. These few blocks is where the city descends when they want to visit designer shops. To name a few: Gucci, Louis Vuitton, Prada, Tiffany & Co., Coach and Burberry all have flagship stores here. Designer department destinations like the Holt Renfrew Centre and Hudson’s Bay are also hot spots in this area. When you enter into the more northern Yorkville side streets, you can find dozens and dozens more shopping options and an array of boutiques on cobblestoned streets. As much as Yorkville loves it shopping, the neighbourhood also enjoys spending a pretty penny on refined dining experiences. Its restaurant row is home to revered restaurants such as Buca Osteria, Sotto Sotto, Café Boulud, Kasa Moto, Sassafraz and many more. You are liable to spot a celebrity or two, but be cool! Yorkville is also home to the only Whole Foods in downtown Toronto. Because Yorkville is such an essential part of the city geographically, there are several entertainment options that reflect the neighbourhood’s centrality. The gorgeous Toronto Reference Library houses the largest public library system in Canada. Down the street is one of three museums in the neighborhood, the Royal Ontario Museum (ROM), a striking visual pillar of the neighbourhood. Inside, get lost in centuries of art, world culture and natural history. Varsity Cinema on Bay Street shows the latest releases for movie buffs. If you’re feeling classical, catch a performance at the Royal Conservatory of Music. Yorkville has any school you may be interested in for you or your family. Public schools include (but are not limited to) Jesse Ketchum Junior and Senior, while Rosedale Heights School of the Arts and Central Technical School will be your closest public high schools. Independent private schools are also abundant in the area. Royal St. George’s College for boys, Waldorf Academy, the Rosedale Day School, and Blyth Academy all invite students to learn in innovative and specialized ways. Often named the best university in Canada, the University of Toronto ranks in the top 25 schools worldwide consistently, attracting tens of thousands of international and local students per year. These busy students are hard to miss, coffee-in-hand, speeding around campus, which includes a portion of Bloor St. in Yorkville, at St. George. There is ample greenspace surrounding Yorkville, including the historic Queen’s Park. This urban park hosts several festivals during the summer months, has a good running trail and is home to the Ontario Legislative Building. Yorkville is also amidst the University of Toronto campus, an abundant greenspace in its own right. The residential areas in the neighbourhood have tree-lined streets that really come alive in the summertime. To the east of Yorkville you can find Evergreen Brickworks, Rosedale Ravine and Riverdale Park, all just a short distance away.